!! OMG, he’s a hero: Ayaz the Syrian refugee/animal saver !! 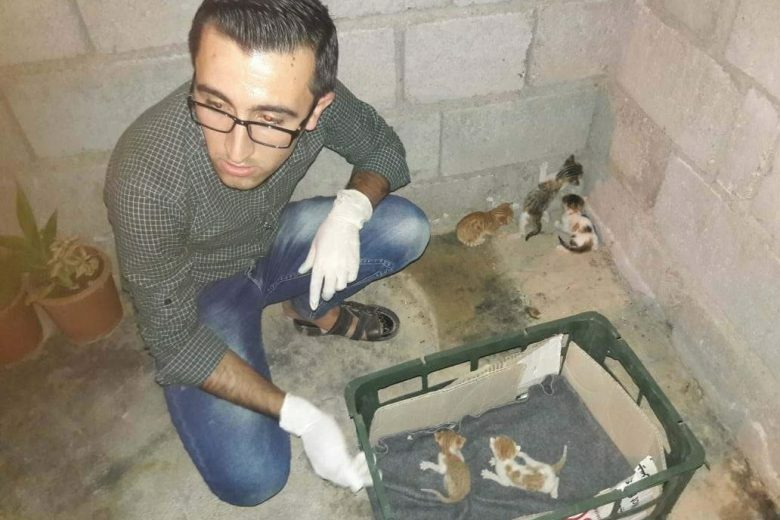 23-year-old Ayaz Dara Al Ahmad has been caring for animals at a refugee camp in Kurdistan since he was forced to flee his home in Syria. With only one year of study left for his veterinary degree, Ayaz decided to put his skills to good use for animals that were suffering without adequate veterinary care. He also advocates and teaches children not to harm animals in an environment where frustration is running high. Please consider donating to this GoFundMe campaign to help Ayaz afford a small shelther and more medicine for the animals in need. 2 Comments on "OMG, he’s a hero: Ayaz the Syrian refugee/animal saver"
So thankful that good people like him exist….gives me hope for the world.